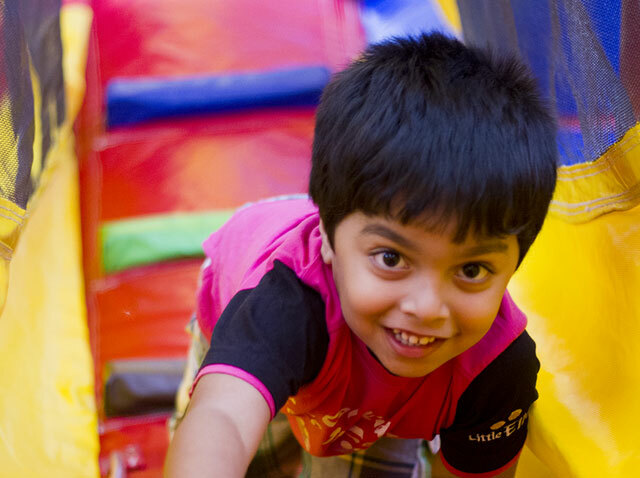 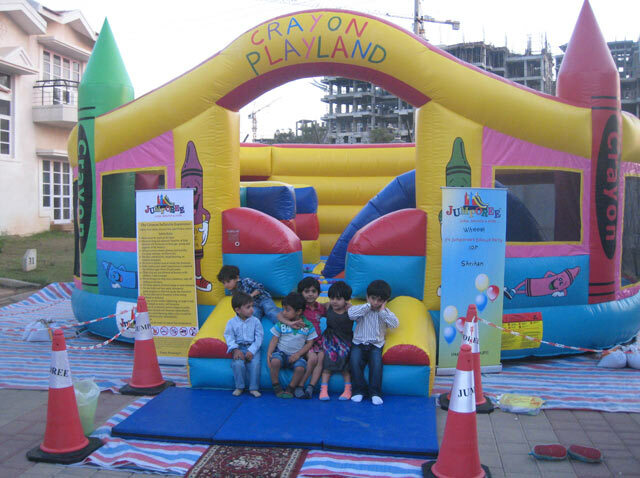 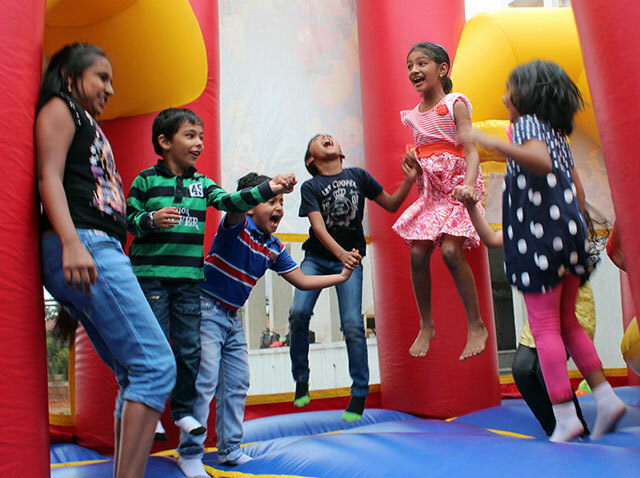 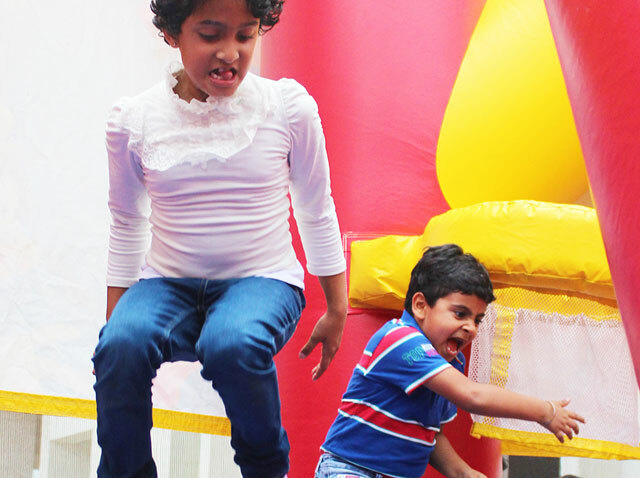 Jumporee's goal is to create an absolutely safe, clean and delightful play zone for your kids' at your doorstep. 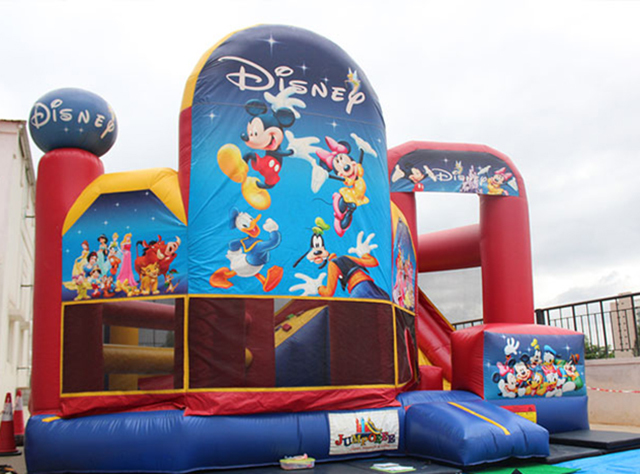 On offer is a variety of inflatables to choose from (castles, bouncies, slides and obstacles) based on your requirement. 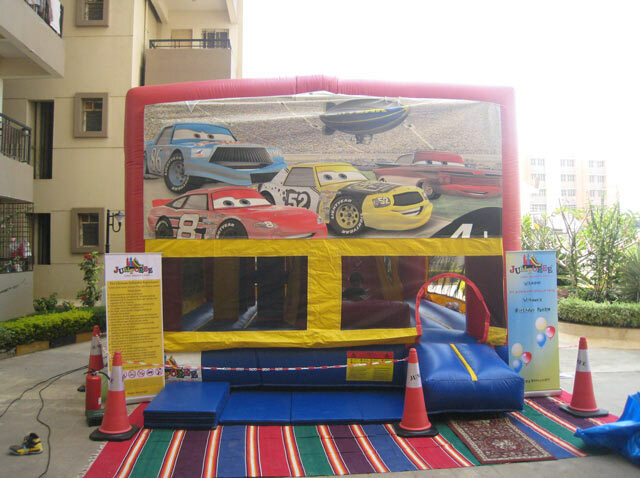 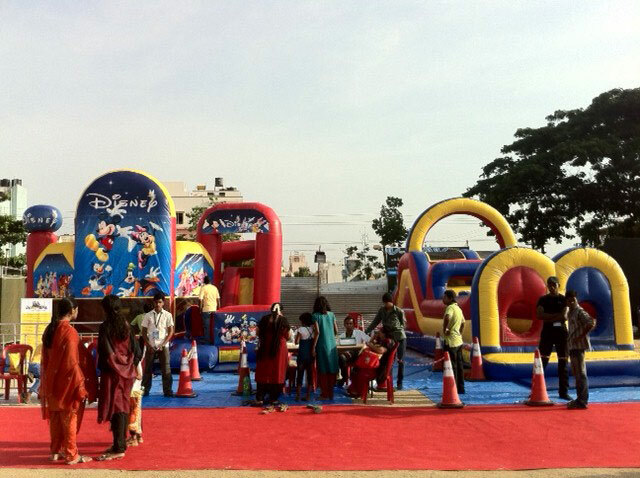 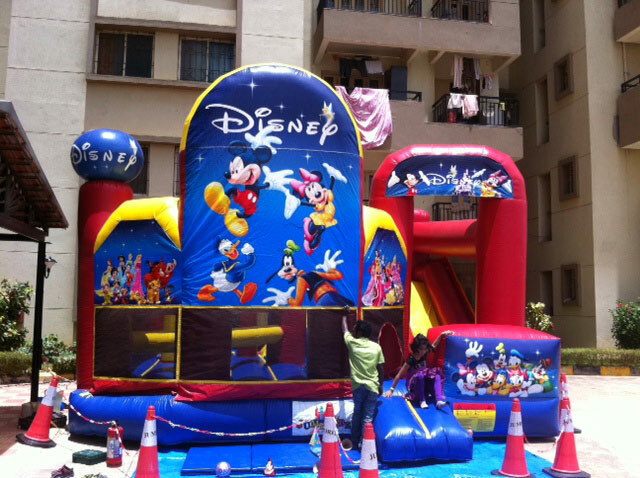 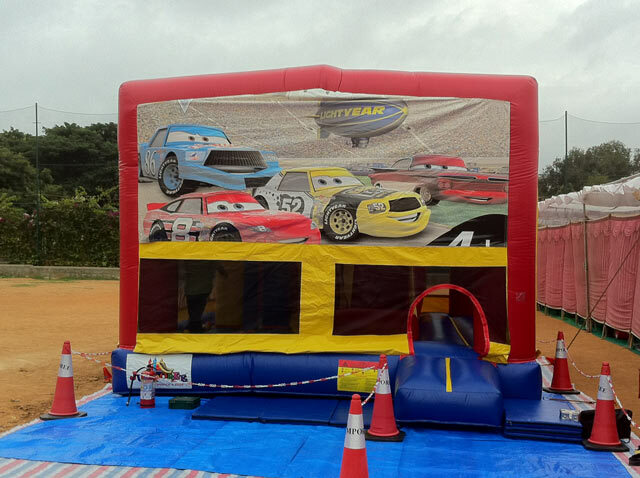 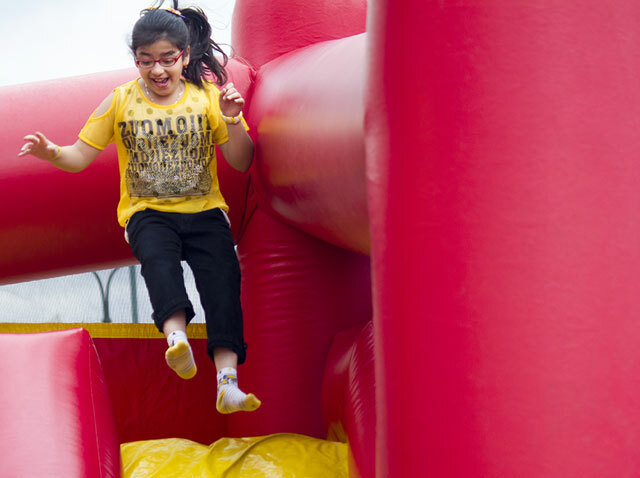 On the event day, we will create a fun play zone with the rented inflatables, monitor kids and let them have some pure fun, all at your door step. 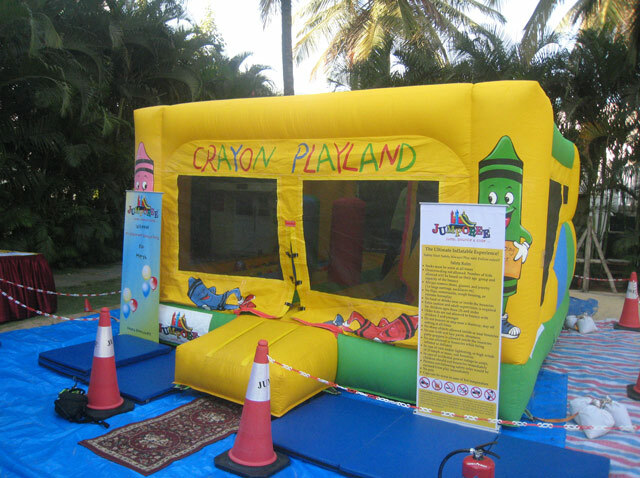 Our specially trained staff will take care of the play zone, so that you might enjoy the party yourself! 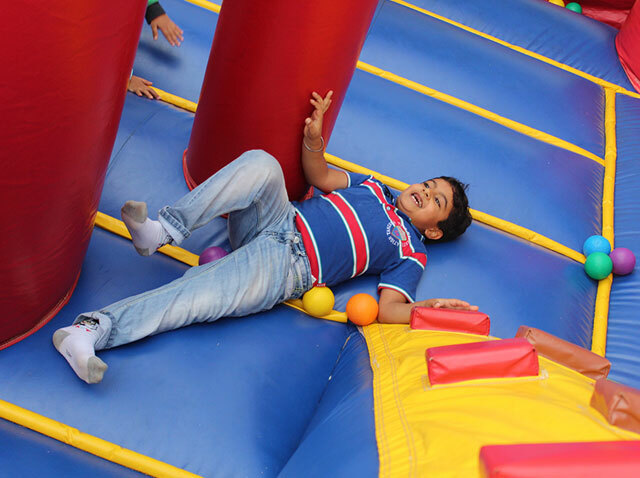 "SAFETY is our first and foremost priority"
Jumporee bounce houses are created specifically for kids keeping in mind their safety and fun factor. 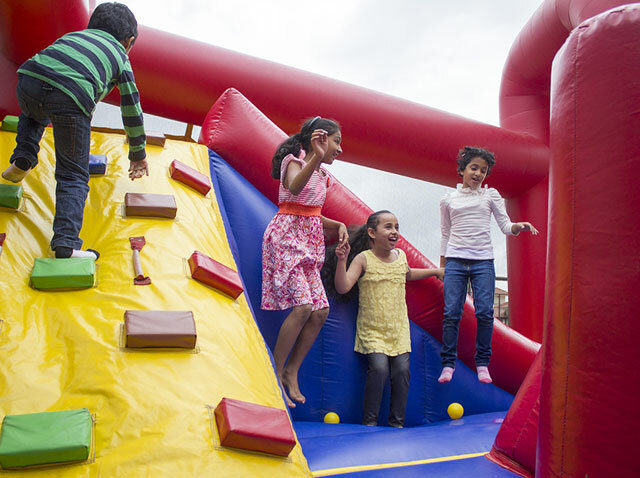 They conform to US and European standards and are lead-free*. 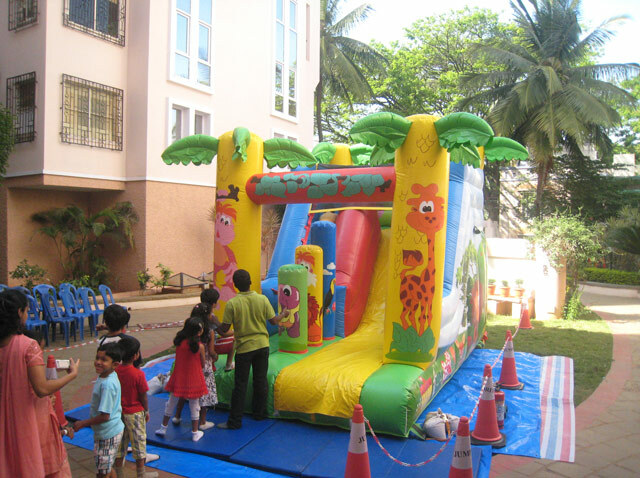 Our bouncies and slides are of commercial grade quality for safety, durability and reliability. 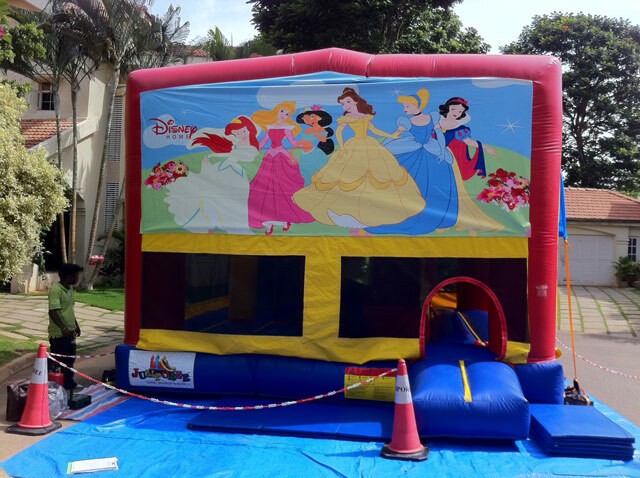 We clean and disinfect our bouncies before and after every event. 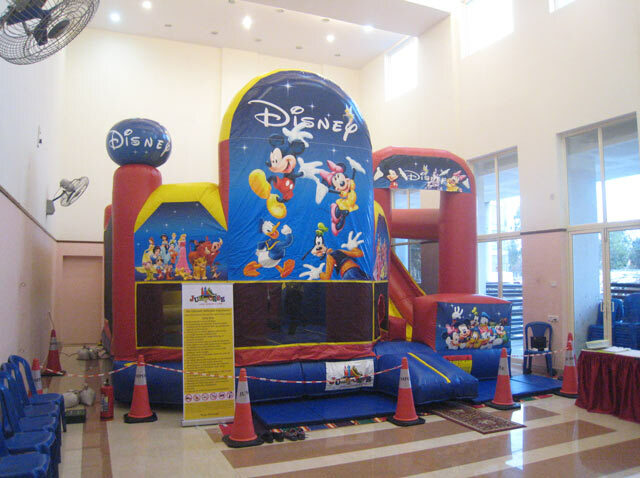 For safe operation of the inflatables, we have obtained advanced certification from the most reputed training institute (Safe Inflatable Operators Training Institute) from US. 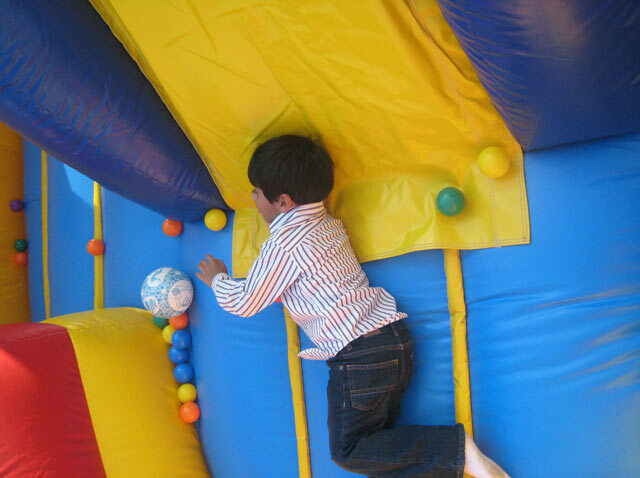 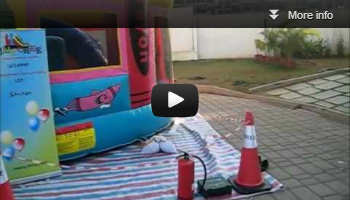 We guarantee your kids will have great fun and active jumping time in our customized bounce houses. 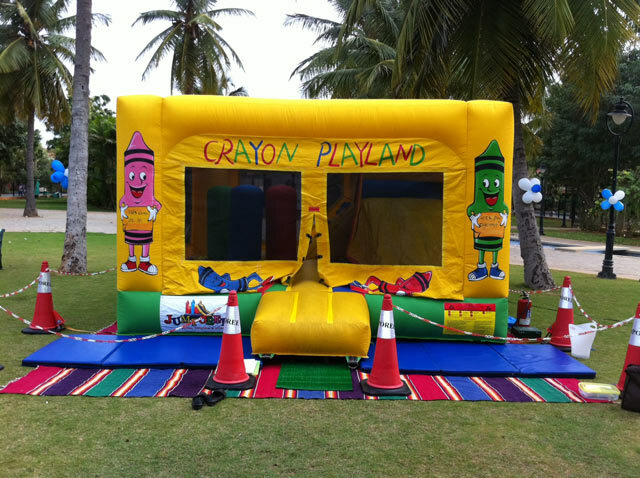 *Lead-free means below 90 ppm (particle per million). 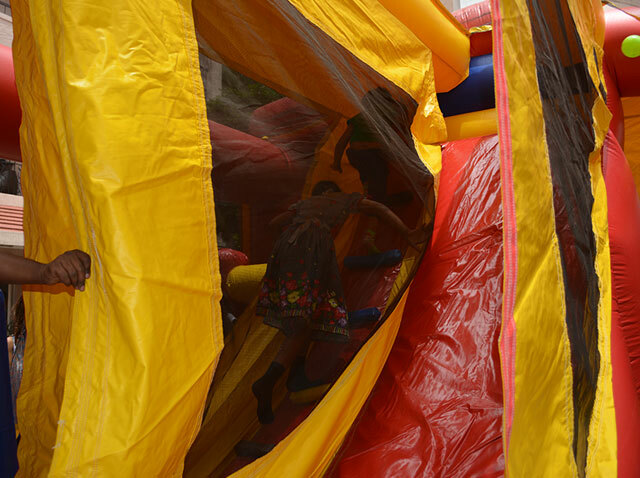 CPSIA and California Proposition 65 compliance limits are 100 ppm.